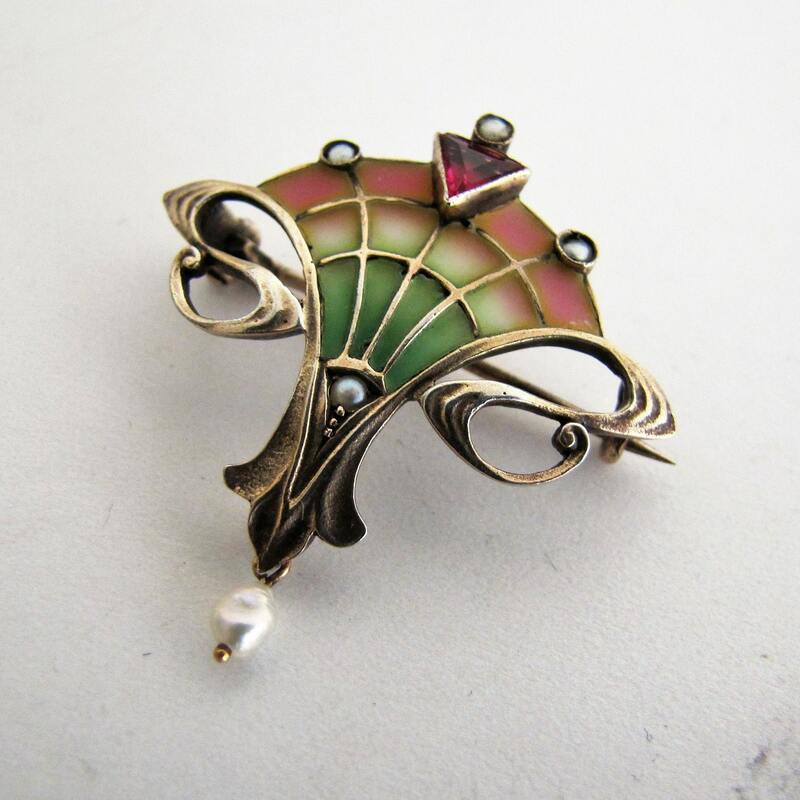 Exquisite jugendstil/art nouveau plique-a-jour enamel gold brooch attributed to Levinger & Bissinger, Germany. The brooch is gold vermeil (silver with a heavy gold overlay) and it features superb enamel work. The perfectly executed shading in a graduation from green to white into a faint rose is one of the trademarks of Levinger & Bissinger jewelry. A miniature work of art this sinuous brooch is set with a trillion/triangle cut intense pink tourmaline and tiny seed pearls, A rare Mississippi river freshwater pearl adorns the fleur de lis at the bottom. CONDITION: Excellent with no damage to the delicate enamel. The gold overlay shows no sign of wear and the pin back in perfect working order. The enamel technique plique-à-jour (French for "letting in daylight") is a vitreous enamelling technique where translucent enamel is applied in cells so light can shine through. It is in effect a miniature version of stained-glass, it is considered very challenging technically and there is a high failure rate. 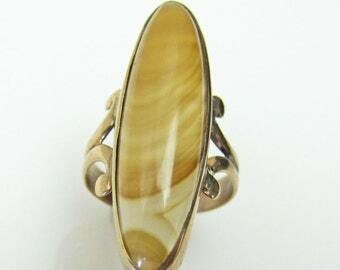 The technique became very popular during the dawn of the 20th century with art nouveau plique-à-jour jewelry from France and Germany becoming particularly desirable and highly collectible today. Antique Art Nouveau Repousse Silver Brooch. Plumes, Fruits, Leaves, Edwardian, Bohemian, Arts and Crafts Sterling Silver Lapel Hat Pin.